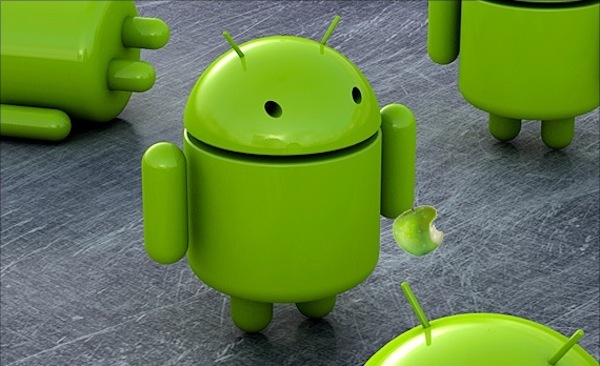 Apple is rumored to be adding a host of new features to its iPhone and iPad OS to make it a better rival to Android, just as new stats confirm Android is “winning” the smartphone war. What comes next? Apple is rumored to be adding a host of new features to its iPhone and iPad OS to make it a better rival to Android. This news comes just as new stats confirm Android is “winning” the smartphone war, at least in the U.S. So what will these rivals do next to keep gaining new users? Comscore, one of the leading analytics firms observing the smartphone market, has published its results for the first quarter of 2011. The data underscores the notion that Google is coming on strong in the smartphone market, with a six-point change in its market share versus the end of 2010. It now stands at 34.7% of the U.S. market. Interestingly Apple also boosted its market share slightly, rising half a point to 25.5%–suggesting the race for the smartphone market isn’t all going Google’s way. Indeed the biggest loser in the stats is RIM, whose share slipped 4.5 points in just three months, now down to 27.5%, suggesting Apple may assume second position in the next three months if the trends continue. Both Microsoft and Palm also lost market share, but these rivals don’t ship in anything like the volume of the top three firms so the stats don’t reflect much of great impact. The Comscore data will please Android fans who like to say Google’s won the smartphone war (although in terms of real income from the platform to the owning company, that’s a notion that’s far from straightforward to call). And perhaps it’s stats like this that are driving Apple to inject some serious smarts into an upcoming overhaul of iOS. Last week it was suggested that Apple and Nuance (makers of market-leading voice recognition software) were pursuing a deal, and these have strengthened to the point many now think iOS will get system-wide voice control like Android–possibly leveraging the clever but forgotten technology of Siri, a digital personal assistant firm Apple acquired in 2009. Apple’s also supposed to be looking into a radical overhaul of the iPhone and iPad’s navigation and mapping systems. Google supplies the core mapping system, but has deliberately suppressed evolution of its iOS app so that Android has the better maps solution–including turn-by-turn navigation. Apple’s been busy buying mapping and navigation assets for several years, and recently advertised a job opening in its Maps team, to take it to the “next level.” As part of the location-privacy fiasco Apple even hinted it was looking at a crowd-sourced system to monitor traffic levels, which is a facility that only makes sense as part of a bigger, better mapping and navigation app (an area we know Apple’s been patenting for a while). Here’s a big question, though: While Google will sell may more Android phones (indirectly) as will Apple with its iPhone, these two firms are sewing up the top-end of the smartphone market. Their products are well known, and soon there’ll be no more market share to eat up. How will they keep our interest? Apple is incrementally adding in new features, some to rival Google, some to surpass it. And Google’s doing the same. The next big change will likely be cloud-based services to add a whole new angle to using your mobile device. But the core functionality of the devices will remain the same. Will Apple and Google embrace 3-D solutions for images and video after this, to keep current consumer interested and to attract new ones? Some rumors hint Apple may try it. Or will the next big innovation be a way to monetize the services these companies offer on their devices more efficiently–perhaps with a push by Google to get more paid apps in its app store? One thing that does come to mind is Apple’s decades-old concept of the Knowledge Navigator. If it really does implement system-wide voice control, and includes some of the genuine smarts from Siri’s old personal digital assistant tech, the iPad and iPhone may achieve serious power in the enterprise productivity markets.